The Fourth of July isn’t just about BBQ’s, fireworks, and pool parties; it’s about remembering how hard-fought our independence was. July 4th is an annual reminder that our country was built on strong ideals and even stronger convictions. We celebrate every year to commemorate our Independence Day and to make our own memories to honor the holiday. As a custom frame shop, we preserve and showcase memories of all types – joyful, somber, creative, and so much more. We know how important preserving your mementos are, and how a simple knick knack or precious family heirloom can be transformed with custom framing into a unique item to pass down through generations. 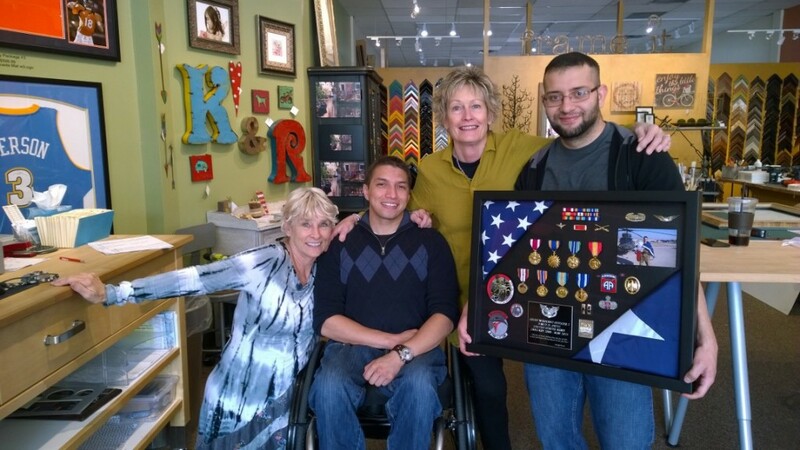 This year, we had a very special customer named David Ortiz who came in with a collection of medals and flags from his service in Afghanistan. 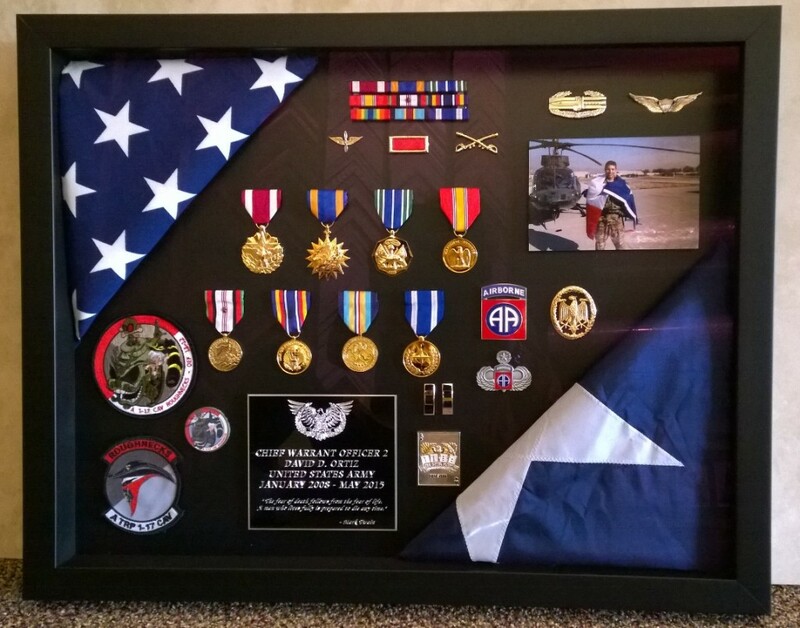 We made him a custom shadowbox to proudly display his awards and showcase his service. He is a wonderful young man who has inspired us with his strength and his service. Even Channel 31 featured him in a segment on triumphing over injury and recovering with honor and grace. Check out the segment (click here). Our custom shadowbox for David Ortiz of his collection of medals and flags from his service in Afghanistan. We are proud to be a local company, with strong ties to this community. We are even more proud that we are given the responsibility of handling your memories. This Independence Day, as we remember our Nation’s history, we here at Frame It wish your family a happy and healthy Fourth of July. 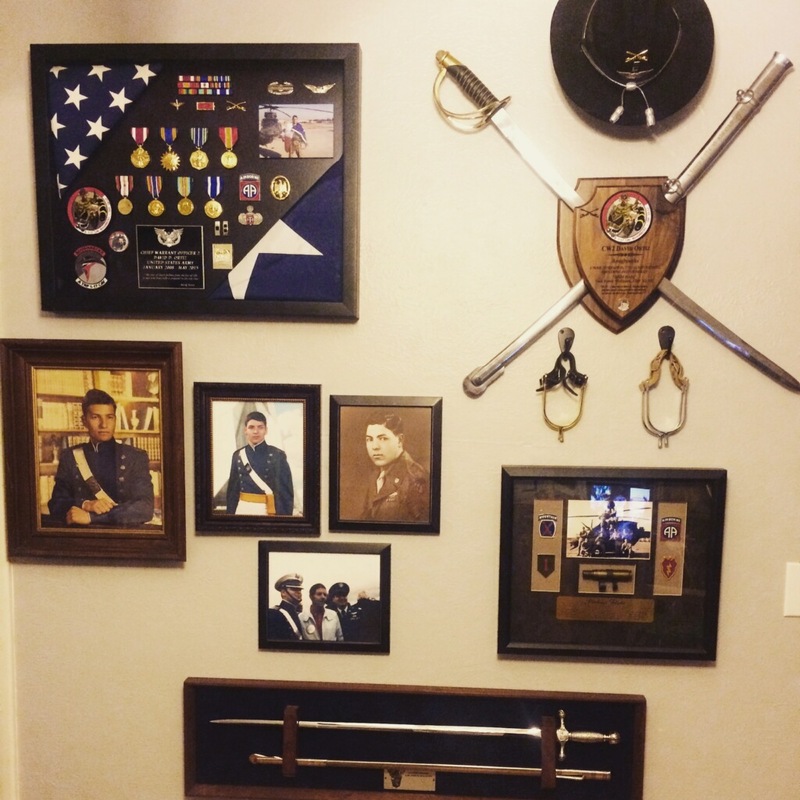 David’s display of medals, memorabilia, and memories from his military service.